CarGurus has 177,363 nationwide Silverado 1500 listings starting at $1,750. Truck owners don’t want or need something that is too loud or ostentatious. Understated confidence is far more becoming on a pickup. If you own a pickup truck, you know it gets used for far more than hauling loads and general work duty. It is also the family wagon, camping support vehicle and the ride that everyone can rely on no matter how bad the weather gets. Pickups are used in so many more ways than just for work, and that has been the foundation of the new entrants in the truck market as of late. The Ram 1500 won Truck of the Year by being a comfortable daily driver, with its elaborate airbag suspension, but you can argue that the strides made by the 2014 Chevrolet Silverado 1500 are just as significant. The latest pickup from the “bow-tie brand” employs new, more efficient and more powerful engines, the latest in-car tech. Most importantly, the little features baked into the design of the Silverado prove Chevrolet understands just how everyday folks use their pickups. First impression: This truck is massive. Like, really big. And this is not coming from a Prius driver. I’ve owned Tahoes, and in my younger days worked jobs that required the daily use of heavy-duty pickups. This is a light-duty truck, and it eclipses HD vehicles of years past. You could attribute that to the robust mechanicals found underneath the sheet metal, but it is really the shape of the sheet metal itself. The battle among trucks in the last decade has been more than just a horsepower war, as the American Big Three have been racing to build the biggest, macho-est trucks for America’s heartland. Fenders, hoods and panels of all kinds have grown outward and mostly upward. There seems to be more empty space than ever before between exterior sheet metal and the actual mechanicals of the vehicle. Want proof that we’ve entered an era of pea-cocking? It snowed the first night that I spent with the truck. I started it using the remote start (wonderful option, and a must for anyone in cold climes) and let the truck run for about 10 minutes, if not more. I arrived at the driveway to still find a layer of snow on the hood. Even after 20 minutes of driving, it was still there. On trucks of the past, the heat of the engine would have melted the snow off after several minutes, but there the pile remains! That said, the Silverado's styling is rather staid when compared to other new trucks. This was a wise choice. Truck owners don’t want or need something that is too loud or ostentatious. Understated confidence is far more becoming on a pickup such as this, and the men and women that will be using the 1500 for work duty will find the straight lines on the body, grille and headlights a welcome sight every morning. Inside, the Silverado has an interior that is as spacious as it is useful. 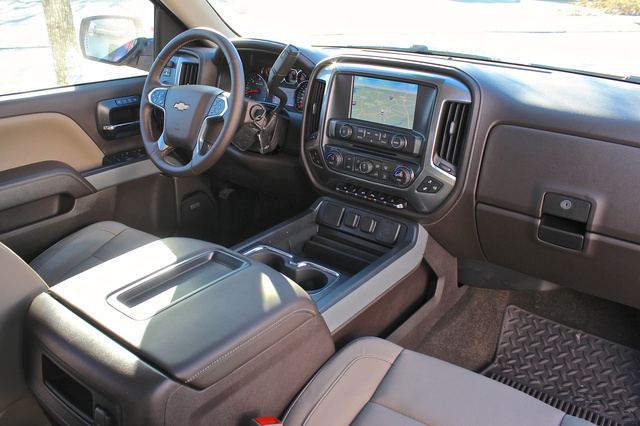 The rear-seat room of the Crew cab model left the cabin feeling like a living room, with the center console playing the role of the coffee table. Items you might consider putting in the bed might actually fit in the rear seat if you flip the bench up. Not every truck owner needs a V8. For those folks there is a venerable 4.3-liter EcoTec V6. It makes 285 horsepower and 305 pound feet of torque. This output rivals that of V8 engines from just a decade ago, but the V6-powered Silverado starts at the very-2014 price of $26,760 for a basic work truck. To get V8 power, you’ll have to add $1,095 to any of the prices mentioned here. GM’s 5.3-liter V8 is a testament to new powertain technology, making 355 hp at 5,600 RPM and 383 lb-ft of all-important, load-hauling torque at 4,100 RPM. It features variable valve timing and cylinder deactivation technology, allowing it to run on 4 cylinders when full power isn't needed. This was the engine selected in our Silverado 1500 Crew Cab LTZ 4x4 test model—selected with the Z71 off-road package, of course. GM has always taken great pride in its dealer-optioned performance packages. This is evidenced by the ZL1 package for the original Camaro, the W30 pack on the Oldsmobile 442 or the Corvette Z06 model. But none of those wear their option pack as proudly (or loudly!) as the Z71 off-road package for the Silverado. For the first time in a Silverado, a 2500–3500-spec engine will be available in a light-duty 1500-level truck. The 6.2-liter V8 typically fit for the Heavy Duty lineup will be available in the luxury-level Silverado High Country trim. It makes 420 horsepower and 460 pound feet of torque. With all engines, power is sent through a 6-speed automatic transmission. Rear-wheel drive (RWD) is standard, but all versions can be upgraded to 4-wheel drive (4WD). The best fuel economy is achieved by the RWD V6 Silverado, at 18 mpg city/24 highway. The V8 4WD model returns 16/23. It should be noted how impressive it is that the V8 scores nearly as good, if not the same, fuel economy rating as the V6. Where the V6 4WD model returns fuel economy of 17 and 22, the V8 is just as good, with city economy at 16 MPG and highway fuel economy that is the same as the V6's. The 6.2-liter V8 out of the High Country achieves 14 mpg city/20 highway. The role of the pickup truck has expanded over the decades. Once simply the machine for a multitude of job-site tasks, the pickup is also being asked to haul families on road trips and bring the kids to soccer practice. It has to be as functional as a minivan without giving up any ground for the 9-to-5. The Silverado plays these dual roles well, employing a number of features and solutions. The Silverado's plethora of cubbies and pockets is as good for camping gear as it is for tools, and there is plenty of space for both. The rear bench seamlessly folds up for even more space. A neighbor asked me to help him pick up a basketball hoop that was “Free-First-Come-First-Served” from Craigslist. The Silverado had a factory-ordered spray-on bed liner, so I wasn't concerned with metal scratching the bed of the truck. Sadly, the hoop was taken by the time we got to the address. We even went the night it was posted and could have taken advantage of the rear semi-floodlight which bathes the truck bed in illumination. 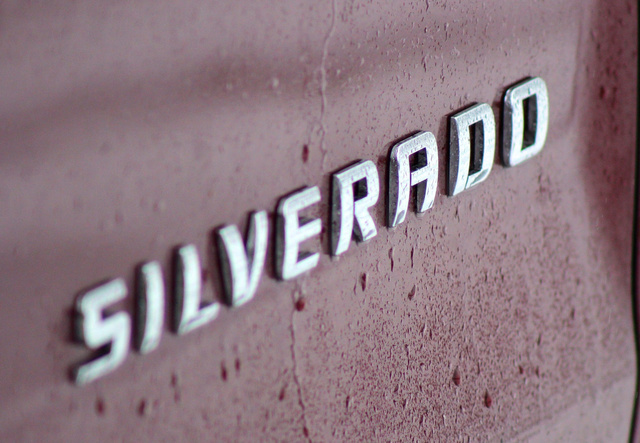 The true genius of the Silverado is not in its touchscreens, but in the simple solutions. Ford has an elaborate step that comes out of the top of the tailgate to help shorter folks climb up, but it's a little awkward. GM had a better idea—they cut a step into the corner of the bed, so you won't need to throw your foot on top of the sometimes mud-covered rear wheel to climb in or use goofy fold-out steps. The exterior styling of the Silverado may be something of an evolution of the previous design, but when it comes to technology, the 2014 model could not be further from the vehicle it replaces. 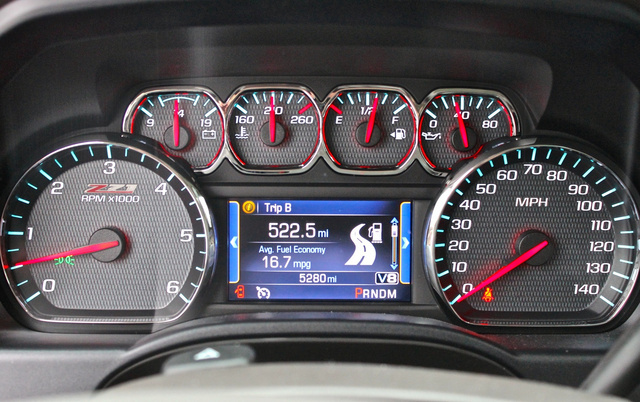 While the previous Silverado had available Bluetooth connectivity, it was nowhere as functional as it is now. The new Silverado is available with Chevy MyLink, which employs your smartphone’s data connection to operate apps like Pandora streaming radio. Also available is Sirius XM Travel Link, which delivers live traffic and up-to-the-minute weather updates. It seems like there are as many USB ports as there are cupholders in this rig, which is obviously a good thing. Flip up one panel in the large center bin, and you’ll find three USB power points. Open up the center console and you’ll find two more. Just don’t ask which one is the actual media connection USB and which are simply for power. This is a great feature for its ability to power multiple phones and music devices. Those landscapers out there can go all morning with their headphones on, plug into the USB over lunch, and have enough juice to make it through the afternoon. 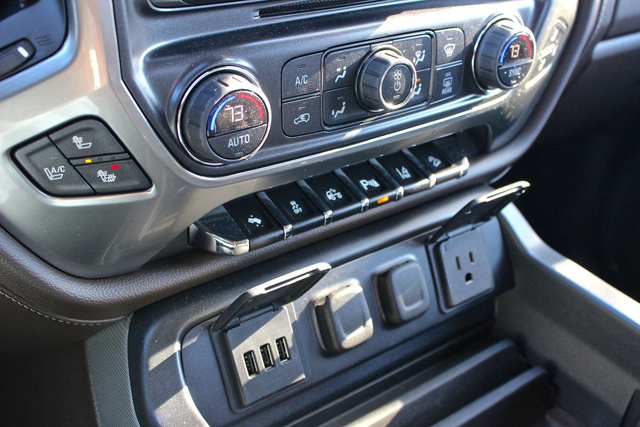 Another great addition is the wall-style power outlet right in the center of the truck. Folks using the Silverado for work will find this great access to plug in a power tool in a pinch. Campers can use that outlet to plug in any sort of air mattress or floodlight. But the feature that will confuse the most but also has the greatest potential to get you out of a jam is the Safety Alert Driver's Seat. This feature straddles the lines between safety, tech and form-and-function. Basically there are “buzzers” in the driver’s seat cushions that vibrate several separate areas of the seat. If you are backing up and something crosses the Silverado’s path, it vibrates the rear third of the seat. If you have the available lane-departure warning system engaged and you start to drift out of the lane to the right, it vibrates the right side of the seat. If you are parallel parking the big truck and get too close to the car in front of it, the front of the seat vibrates. All the while, there is a visual representation of how close objects are getting to the distance sensors on all sides. Trucks are generally safe vehicles in terms of protecting the driver and passengers, but keeping all that metal stable on the road has been a challenge through the years. The Silverado has StabiliTrack stability control to keep you on the road in those emergency maneuver situations. For towing a large load safely, the Trailer Sway Control helps control braking coming into a turn and adding power coming out of a turn with a trailer. In a truck of this size, a feature like a backup camera is almost a necessity. 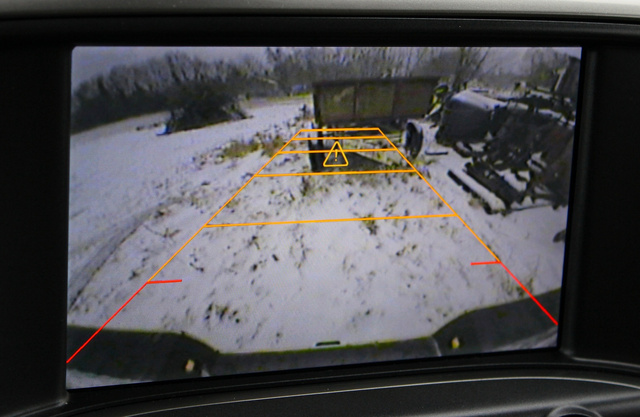 Combined with the sensors, it will be able to identify objects in front of or behind the truck. There are also rear cross-path sensors, so it can alert you to vehicles that might be headed right toward where you are reversing. Brand loyalty is so huge in the truck market it almost negates the issue of price comparisons. If you have owned a Ram or Ford before, the odds of sticking with the same brand are insanely high. If you have never owned a pickup before, the Silverado is a great place to start, though for price and other factors, the Ford F-150 might be a better way to enter the market. The Ford is big, but not as massive as the Silverado, which might make owning one for the first time more manageable. The base price of the Silverado is up $2,000 from the year before, which might hurt companies buying fleets of the base model. The lowest you can pay and still get a V8 and 4-wheel drive is more than $31,000. Our test model came in at an absurd $48,750. So $50,000 might seem like a heck of a lot to pay for a pickup (that you’ll be pouring about $75 a week of gas into), but this is a truck you can take anywhere to do anything. You can drive it to a wedding or a football game. You can go off-roading, and (with the backup cameras and parking sensors) you can park it in the city. It truly is a truck for all occasions. If you have owned a Silverado 1500 and are considering a 2014 version, you can rest assured that the truck is more powerful and more efficient, with more attention than ever paid to how you really live and use the truck, at the work site as well as the campsite. 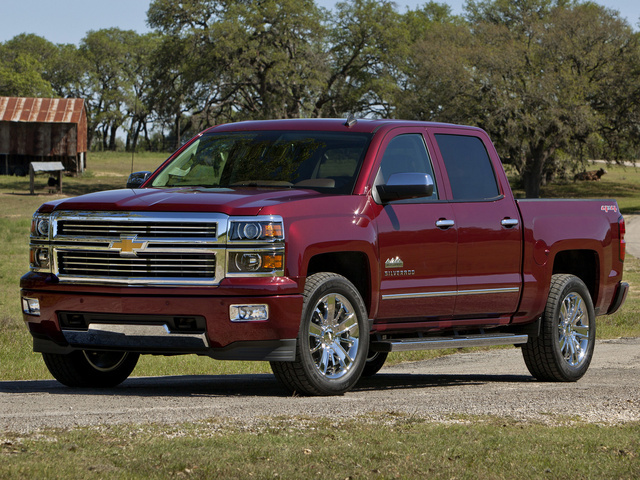 What's your take on the 2014 Chevrolet Silverado 1500? erdoc8921 This is a nicely written review, and pretty accurate as well. I was fortunate enough to get a LT crew cab V6 at a steep discount, but this truck is without question the best I have ever owned or driven. Before buying it I test drove similar trucks from Ford and Dodge as well, and the Silverado was the best of the three in my opinion. The power output from the V6 is the same as the 5.3L V8 Vortec I had in my z71 in 1998. More than enough for what I do with trucks, and I am getting 23-35mpg on the freeways here in Houston, even in moderate traffic, thanks to the active cylinder management. The interior plastic on this truck is much nicer than the other Chevrolets I have had, but it isnt as nice as Ford or Dodge. The center stack, once I figured it out, is pretty easy to use and the voice command system is really superior. I find that I use that more than the center console knob. The command prompt is appropriate in volume, and easy to give instructions to accurately. Overall I am very pleased with the truck. GuruZKMQ8 I like my 2014 Silverado 1500LT but the seats aren't very comfortable on long drives. My biggest disappointment is not being able to use AndroidAuto on my 8" touch screen and not being able to install GM brake controller or front & back sensors. If it had these capabilities I wouldn't buy a different truck now. GuruZKMQ8 I really like my Silverado 1500LT but I resent not being able to upgrade with genuine GM parts. GM really misses out on customer relations on this matter. The ability to use AndroidAuto absurd it could be done with a software upgrade or programmed SD card or dongle. People really resent GM's proprietary policies. 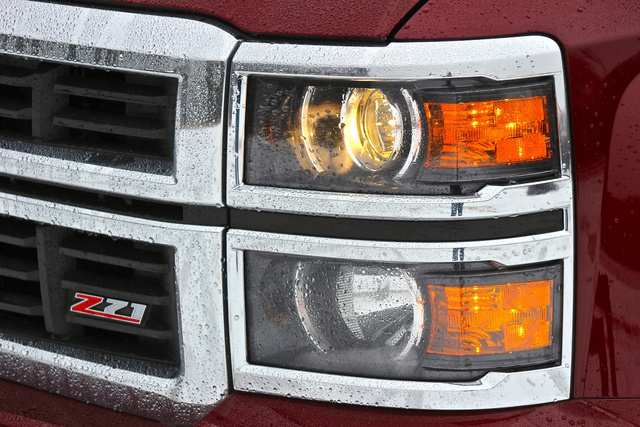 Users ranked 2014 Chevrolet Silverado 1500 against other cars which they drove/owned. Each ranking was based on 9 categories. Here is the summary of top rankings. 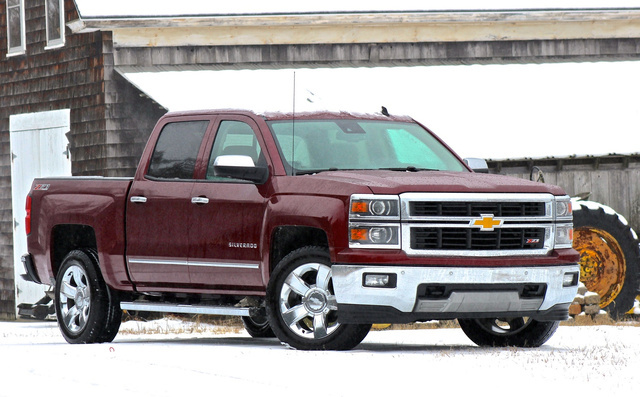 Have you driven a 2014 Chevrolet Silverado 1500?